Episcopalians began worshipping in Gaffney at the Limestone Springs Hotel in the early eighteenth century. By 1844, services were being held regularly in one of the formal parlors of the hotel, in the building which now houses the administrative offices of Limestone College. A vestry was selected, and there was movement toward petitioning the Diocese to declare the Gaffney congregation a Mission Church. Unfortunately, the Civil War intervened, scattering the Gaffney Episcopalians and turning their thoughts to more pressing matters than founding a church. In 1873, an eager young priest named John McCollough began holding Episcopal services in the Presbyterian Church in Gaffney. Dr. McCollough founded numerous churches in the area, often serving as architect and carpenter as well as priest and pastor. On Sundays, Dr. McColllough would make his rounds among the many small churches he served. Legend has it that one Sunday the eager worshippers gathered in Gaffney to await Dr. McCollough. The time for his arrival came and went, and after several hours the people became alarmed. They sent a search party, who soon found their priest walking down the road. He explained that, after services in Blacksburg, he went to the station to catch the train to Gaffney. But as he was putting a letter in the mail car, the train pulled away. So the devoted gentleman, then in his seventies, set out walking so he could hold worship in Gaffney! 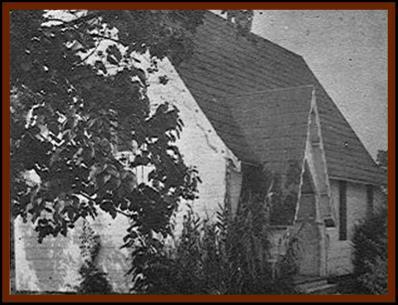 On April 27, 1880, Dr. McCollough laid the cornerstone for The Episcopal Church of the Incarnation at the corner of Buford and Brown Streets in Gaffney. The completed building was consecrated two years later, and Dr. McCollough served as priest until his retirement. A series of clergy served Incarnation over the next two decades, and attendance dwindled until, in 1907, only two members remained. The building was closed, and services ceased. Gaffney was hit especially hard by the Depression, which forced many of the mills to close. The beautiful church building on Buford Street fell into disrepair and was even used to house animals. But out of a lowly stable, once again, was born the Incarnation of God on earth. A handful of former members banded together and cleaned out the building so that a priest could, once again, hold services there. In the 1930’s, Incarnation petitioned the bishop and once again became an official Mission Church. The duties of keeping the church were shared by the few members, with everyone taking part. They took turns preparing the altar, playing the piano, organizing suppers, and toting buckets of water to clean the building. Altar hangings and linens were donated by churches all over the United States who were eager to see this fledgling church thrive. Incarnation has always looked beyond her own walls to be the Incarnation of Christ in the community. In 1945, Incarnation was home to the first chapter of Alcoholics Anonymous in Gaffney. In the 1980’s, Incarnation operated a preschool program that cared for many of Gaffney’s littlest ones. In 1980, Incarnation hired the first woman ordained to the priesthood in the Diocese of Upper South Carolina, the Rev. Mellie Hickey. She served the Gaffney congregation humbly and faithfully, personally purchasing pews for the church as a gift at her departure. In the 1990’s, Incarnation started the Gaffney Soup Kitchen, serving hot and delicious meals to our needy neighbors. Of course, the history of any living institution is never complete. Incarnation continues to worship and to serve, to be the Incarnation of Jesus Christ in our community. We invite you to join your history with ours as we continue to grow together. 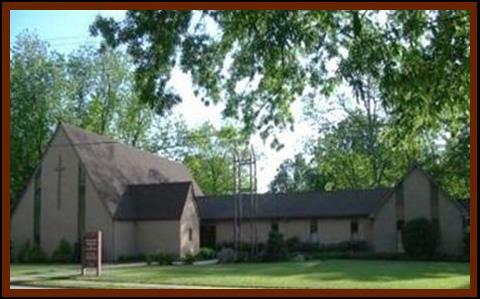 In 1960, the present church building on College Drive was constructed. As usual, the people of Incarnation were actively involved in the project. The women and children of the church did much of the fundraising. The story is that three women, convinced that the new church had to have an organ, rashly signed a promissory note for one, only later informing their husbands of the obligation. Inspired by their newly-indebted husbands, the women went into the community and raised the money to cover the organ. Several men of the church built the altar table themselves, laboring tirelessly until it was perfect.